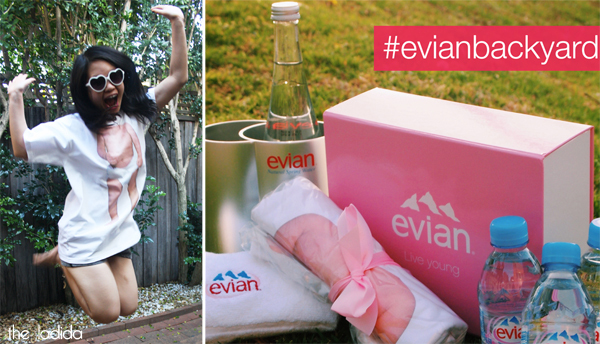 As I've previously mentioned, I'm the evian Live Young Blogger Advocate (#sponsored - scroll down for competition). I've since then realised, I've been unintentionally been living young all along! This blog was started to make the most out of my kidulthood, and coincidentally I started 'blogging' when blogging didn't exist. The year was 1998, I was 10 with a dial up connection who loved the Spice Girls, being a fangirl I created a fansite. I didn't think of it too much back then, but I realised it's kind of made me who I am today. I love writing, coding, learning and social media. Even if I'm not particularly great at all of the above. It does feel a bit weird that I'm pretty much doing the exact same thing I did 15 years ago... creepy. 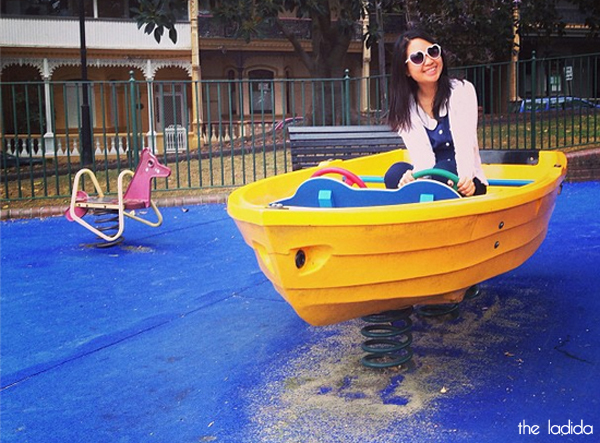 To encourage us to Live Young they are having a Facebook/Instagram (use #evianbackyard) competition to win a trip to Queenstown, New Zealand by uploading photos showing how you live young in your backyard. Unfortunately, I was not offered the trip... don't they know who I am? If you need help with creating an entry, evian will be launching the Live Young Backyard in Sydney next week at Martin Place (September 25) and Bondi Beach (28 & 29). Unfortunately, can't offer that fabulous trip here. BUT up for grabs are 3 packs = 3 winners, consisting of the uber fashionable "Baby and Me" t-shirt which is perfect timing as the birthday suit seems to 'oh so hot right now' (thanks Miley + Ricki-Lee), a gym towel, water cooler and of course, some evian water. Competition is open to readers of The Ladida, located in Australia only. The winner's email address will be shared to third parties for the purpose of prize fulfillment. The promoter is not responsible for technical issues, or lost/misdirected mail. In the event, there is an issue there will be no guarantee of a consolation/substitute. Valid entry consists of email address and Facebook page 'like' for The Ladida. The winner is to reply with mailing address and prize choice within 72 hours of receiving the email otherwise the prize will be forfeited. And of course, we believe whatever models say right? Especially if you're the fabulous Derek Zoolander. Baby body would be such a good look for me. Not that I'm saying you should just give it all to me, or anything. Pfffffft. What a great giveaway. Love the baby shirt hehehe.